Benazir Bhutto, 1988On the morning of December 27, a simple e-mail alert to my cell phone confirmed my worst fears for the indomitable and courageous woman leader I knew as a former reporter covering politics in Pakistan: `BB Killed’. It did not matter that Benazir Bhutto, campaigning to return to power for a third time, would have merely stayed a symbolic leader. 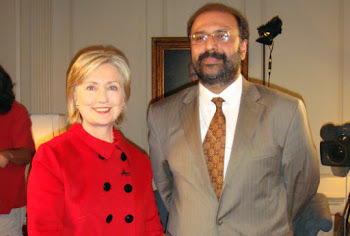 Her tragic murder has cut short the dream for Pakistan’s impoverished millions and increased their sense of desperation. The grieving is most pronounced in her home province of Sindh, where she was buried in Larkana next to three murdered family members – her father former Prime Minister Zulfiqar Ali Bhutto and brothers Murtaza and Shahnawaz Bhutto. For nearly two decades of her political career, Benazir grappled with Pakistan’s intelligence agencies. It was a struggle I saw up front as the only woman reporter for Dawn newspaper in Karachi, assigned to cover the woman aspiring to become Prime Minister. Even after she became Prime Minister, Benazir shared her feelings of occasional helplessness about Pakistan’s military – whose intelligence branches work autonomously and sometimes at cross purposes with one and other. In 1989, Prime Minister Benazir invited a small group of us journalists to share the dilemma facing her newly elected government. By then, I had spent five years covering the political violence in Karachi and seen the military’s involvement in domestic politics. Still, as a young reporter I was only just discovering the linkages. Although Benazir had been in power for only a few months, the city burnt uncontrollably in ethnic rioting. As we sat around an oval table in Bilawal House – named after her first-born – Benazir’s question confounded me. "How can I control the intelligence agencies?" The inexperienced and youthful Prime Minister had done the unthinkable. She had tried to take charge of Pakistan’s powerful intelligence agency, the Inter Services Intelligence (ISI) by replacing its chief Lt. Gen. Hameed Gul with a retired civilian officer close to her father. Her timing couldn’t have been worse. It was the Cold War era, when the former ISI chief had acquired gargantuan powers as the chief conduit of U.S. weapons for the Mujahideen (Islamic warriors) fighting the former Soviet Union in Afghanistan. As ethnic riots rocked Karachi, Benazir’s government became the most chaotic in Pakistan’s history. A year later she was dismissed for "corruption" and "deteriorating law and order." It taught the populist Prime Minister the inevitable. Namely that as a newcomer, a woman and the representative of a small province she would have to cozy up to the military establishment in order to rule. Benazir would internalize this lesson in both her attempts to retake power. It explained the "deal" she struck with President Gen. Musharraf last year, even at a time when his unpopularity had hit a new low. Back in 1992 as Prime Minister Nawaz Sharif's government tottered, the PPP used "palace intrigues" to retake power. Every day, her party leaders contacted me about her parleys with the establishment. Through my newspaper, Benazir tried to create leverage to get Sharif sacked and win a second term as Prime Minister. My reports in Dawn newspaper kept readers informed that the assemblies were about to be dissolved and Benazir installed for a second term. But even in her second tenure, Benazir suffered an uneasy relationship with the military. In 1994, when I met her at Bilawal House, she looked pensive and apprehensive at her exiled brother, Murtaza’s decision to return while she was still Prime Minister. We probed whether it might be because she feared her brother as a political rival. That was apparently not the case. She shared with us her premonition that her younger brother – exiled in Syria after hijacking an airplane to avenge his father Prime Minister Zulfiqar Ali Bhutto’s execution at the hands of the military – would not be safe on his return. In September 1996, when Murtaza Bhutto was killed outside his family home – 70 Clifton – by a police party, the gunshots were so loud that I heard them at my home several miles away. Two months later, Benazir was removed from her position as Prime Minister and her husband Asif Zardari imprisoned for the murder. Although, Murtaza’s murder has been left an unsolved mystery, the promotion of top police officials who pumped the fatal shots makes it obvious that they were highly connected. Benazir’s brother was killed during her second term as Prime Minister, even though she had kept her hands off the military. It led to a glaring disconnect between her manifesto to bring positive change and inability to follow up on it. Indeed, her schemes for women’s development were falling on the wayside, occurring at a time when her army – led by then military director Gen. Pervez Musharraf – pushed the Taliban to power in Afghanistan. During this era of the mid `90’s, Pakistan appeared to have parallel governments. While the military gave a free hand to Islamic parties to prepare the Taliban for jehad in Afghanistan, Benazir’s government mobilized women for a show of force at the Fourth World Women Conference in Beijing. In 1995, notwithstanding my critical reporting of the PPP, the party leadership nominated me to travel to Beijing as part of the government delegation. There I saw the glamorous and eloquent Benazir take the global community by storm -- speaking articulately as she did about the measures taken on behalf of the women of Pakistan. Personally, I had less reason to be impressed by Benazir’s eloquence, knowing of the bitter realities for women back home. Indeed, nothing had changed from the report compiled in 1985 by the Commission on the Status of Women set up under Gen. Zia ul Haq: "The average rural women of Pakistan is born in near slavery, leads a life of drudgery and dies invariably in oblivion’. Despite a growing sense that Benazir’s government lacked teeth, for one year I traveled every fortnight to Islamabad on the PPP government’s invitation to work on a Five Year Plan for women. We were a select group of women, mostly from non governmental organizations, who were entrusted with following up on the Beijing Platform for Action. And yet as the weeks rolled by, I felt increasingly entangled in the web of planning. In August 1996, while I helped draft the Five Year plan for women in Islamabad, a panic rumor did the rounds that Benazir’s government was about to be sacked for a second time. As a journalist I had seen the end coming. Sectarian violence and extra judicial killings were rife. Indeed, Benazir appeared to act more frequently like the leader of the opposition rather than as the elected Prime Minister. 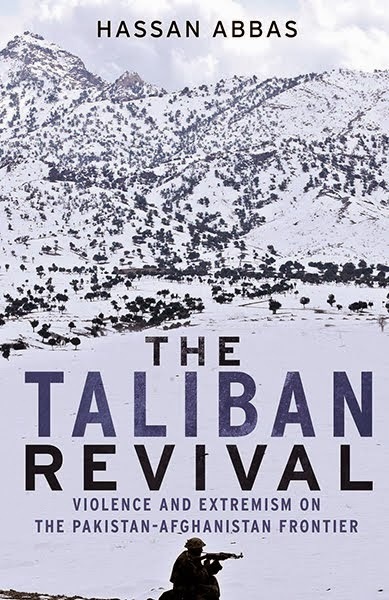 In September 1996, the Taliban took power in Afghanistan. A week later, Benazir’s brother Murtaza was killed. That set the ball rolling for Benazir’s removal – and she was dismissed 60 days later. Fast forward ten years: I met Benazir again in 2006, when she arrived in Maryland to address a gathering of expatriate supporters. The PPP chairperson and former Prime Minister had lived in exile in Dubai and London since Gen. Musharraf seized power in 1999. A year later, I too had left the country to teach a course in gender politics at Amherst College, Massachusetts. At that meeting, Benazir was making a pitch to the U.S. administration that they ought to look beyond the military to a civilian ruler to fight the `War on Terror.’ The expatriate community exalted Benazir’s leadership, as she looked on with her familiar regal air. Afterwards, I made my way through her bevy of fans, to say hello. She reacted with surprise and warmth and wanted to know where I had been. "Wait," she said, "I want to see you." Shortly thereafter, she sent word through her emissary at my lunch table that she’d like to see me at the home of a party Senator in Maryland. It was a relaxed Benazir I met, her head scarf off and with the engaging style of a party socialite. Her husband, Asif Zardari, released after eight years of imprisonment, joked around in his cheerful manner. Surrounded by a small group of Washington based elites, Benazir was updating herself on Pakistan, including getting a sense of `Who’s Who’ at the different tiers of government. She probed me closely on how effective President Musharraf had been in the `War on Terror’ and the manner in which that was being projected in the Western media. As we stood alone by the tea table, I told her I was glad she still had the courage to plunge back into Pakistan’s volatile politics. There was stillness in her lowered gaze, an unspoken aura that it was her destiny to do so. Benazir knew that Pakistan had become vastly more dangerous since September 11. It was consistent with the Benazir I knew that just two months before her murder she had sent an e-mail to her U.S. consultant and spokesman, Mark Siegel that in the event she was assassinated, she would hold President Musharraf responsible. Indeed, Benazir’s return had become even more dangerous after the clandestine meetings she held with Pakistan military officials prior to her return. There were any numbers of Islamic militants determined to eliminate Benazir, even as a section of the military may have been threatened by the prospects of her becoming Prime Minister. And yet, determined to adopt that route, she followed a separate track from civil society groups working to restore the independence of the judiciary and end curbs on the media. The day Benazir landed in Karachi after eight years of self-exile, a series of car bombs killed 150 poor people in her humongous welcome procession. It was a harbinger of things to come. Pakistan was no longer the country Benazir or I had left before September 11. Back then, I was among four journalists who traveled with her on the `Democracy Train’ when it was welcomed by thousands of joyful, drum beating villagers in Sindh. We rode fearlessly in her processions atop open vehicles, never knowing the existence of suicide attacks. In the aftermath of Benazir’s assassination, the masses vented their rage and frustration through the destruction of state property. Her murder left the PPP cadre numb with shock, and created a sense of disbelief in society. It has slowed down the campaign for February elections, even while the threat of violence has confined political leaders to indoor meetings and media advertisements. In Pakistan, Benazir’s murder is viewed as a derailment of the democratic process. If there is any common unifying ground between the PPP, civil rights groups and the masses, it is their expressed mistrust in an impartial investigation into her murder. This is an issue that will linger on even after the February elections. Currently, there is unanimity among the people in Pakistan that the United Nations needs to form an independent body to investigate who really killed Benazir Bhutto. Nafisa Hoodbhoy is a former reporter for Pakistan's daily Dawn newspaper, and is now based in Washington D.C.